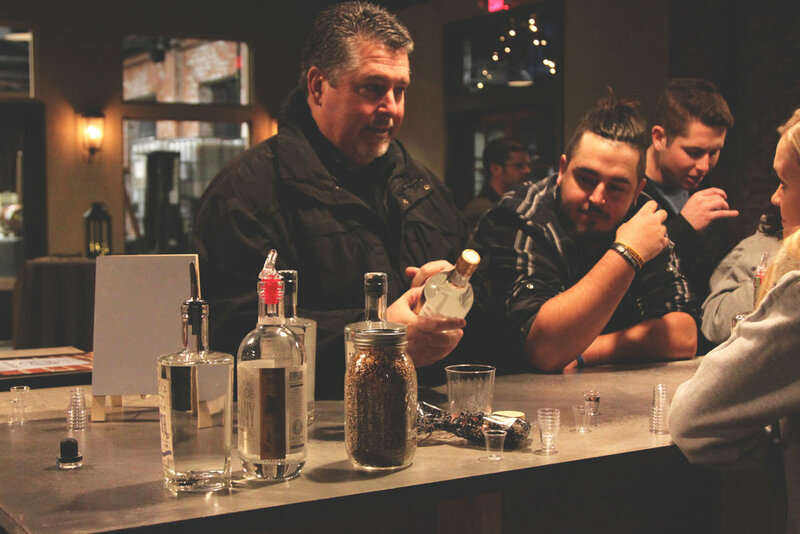 Come in to the McClintock Distillery at 35 South Carroll Street and try some of our spirits fresh from the still. Located in downtown Frederick, limited parking is available at the distillery and additional parking can be found at the Carroll Creek Parking Garage at 44 East Patrick Street. Do I need to reserve my ticket online or can I walk in? You don't need to reserve your ticket online and can purchase them at the distillery anytime. However we recommend checking our availability before coming in to make sure there is not a private event or wedding happening that day. Tours are free and the cost is $5 for a tasting but is completely refunded with the purchase of a bottle in our tasting room. Yes you can. Call our number at (240) 815- 5259 to book a tour in advance or use our website at the button above. We cap all tours at 30 people to ensure the highest quality experience possible so some times may be sold out. You can also show up and pay at the door without a reservation. Absolutely, we are happy to accommodate groups of all sizes. Please call ahead of time to reserve a spot for a tour and tasting. Groups over 50 can reserve the tasting room and distillery through our event registration page. Is the Distillery Dog Friendly? The distillery is dog friendly, so feel free to bring your furry friend with you for the tour (no tastings for dogs though!). Aside from tours and tastings, please feel free to play some of our games, hang out in our tasting room and check out our McClintock merchandise for sale. Per Maryland law, consumers are limited to three 0.5 oz pours, and must be 21 years old or older.